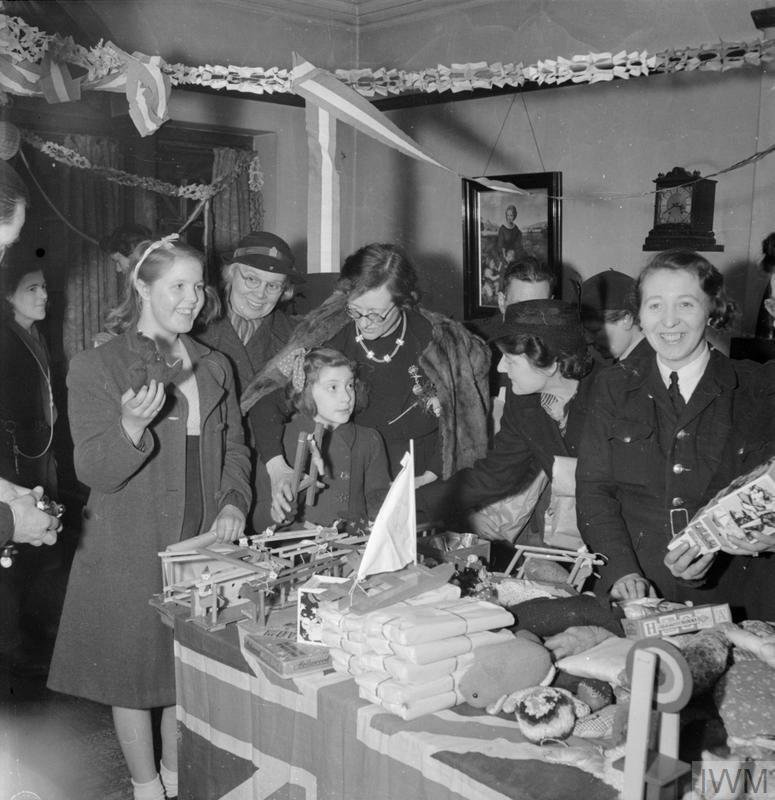 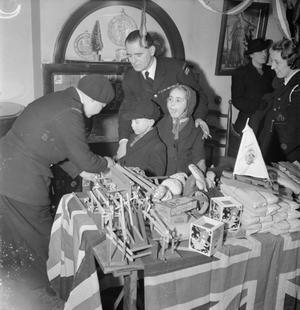 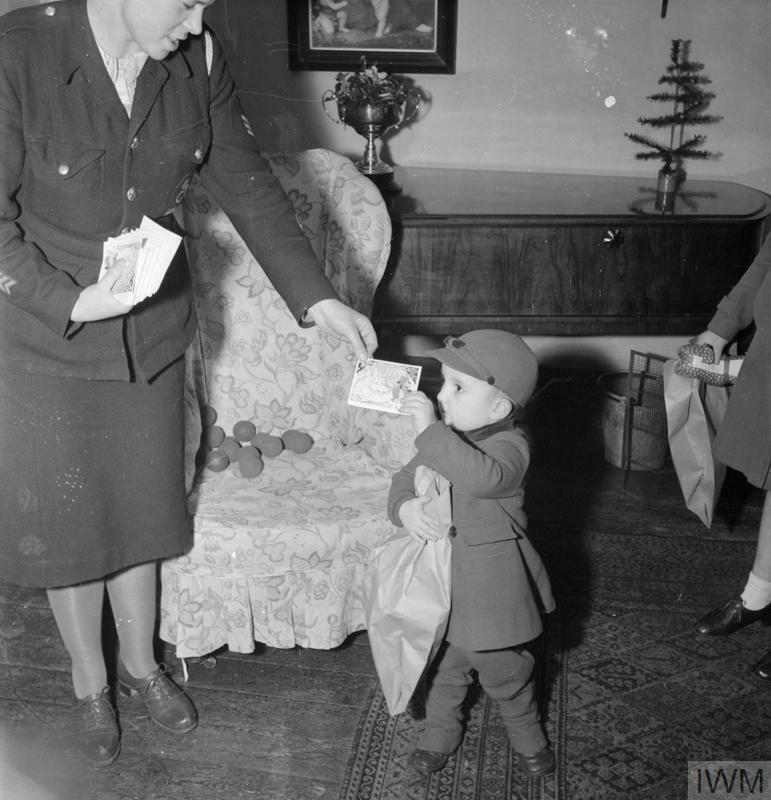 Two young children at Canning Town settlement choose a toy each from the selection of gifts donated by America. They are assisted by two members of Civil Defence (possibly their parents). 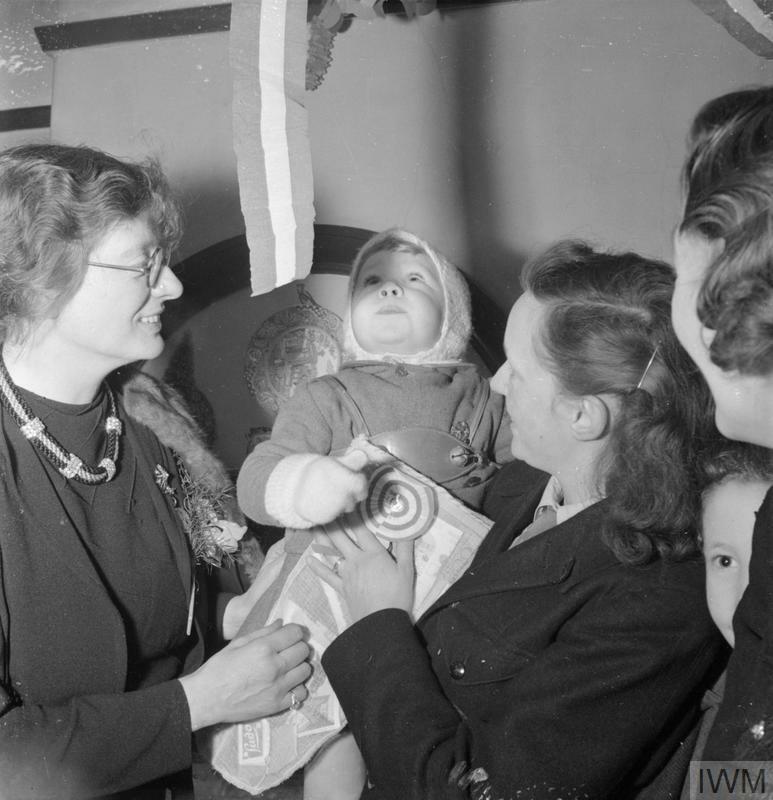 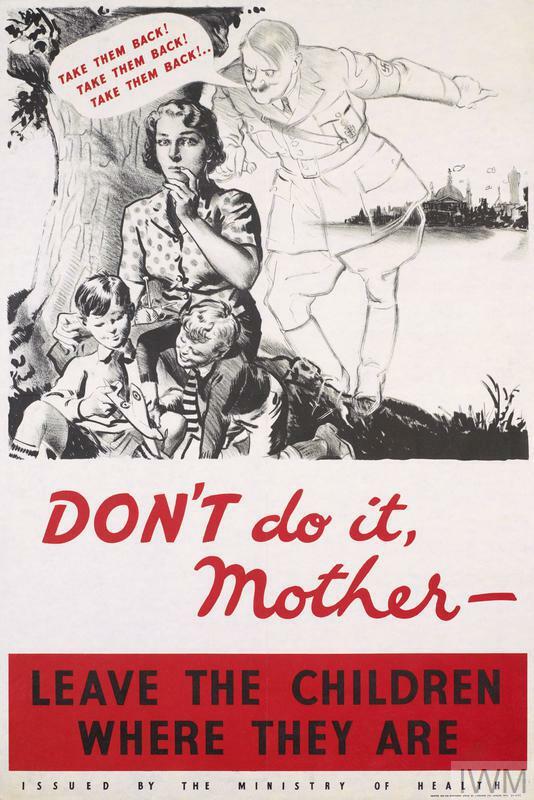 According to the original caption, there were 700 children at the settlement.